Manage your day-to-day accounting activities with ease and have peace of mind that the right people are working on the right tasks at all times. Depending on how you and your team prefer to run the practice, we offer both a standard and an advanced practice management software solution to meet your needs. Our practice management software for accountants sits at the heart of your practice and provides all of the tools you need to run a successful practice. Digita Practice Management offers you complete control over your workflow, allowing you to project manage your tasks from a central location. If you need more functionality than our standard solution, Digita Practice Advanced is our more powerful product which provides specialised data analysis tools. How to keep track of client work (1:45) See how Digita Practice Management allows you to manage all of your day-to-day compliance activities in one place. Drill down into your full client database and coordinate marketing activity. Quickly post internal and billable time directly to a central calendar. Why use practice management software? Input and track annual tasks and deadlines, across your staff and clients. 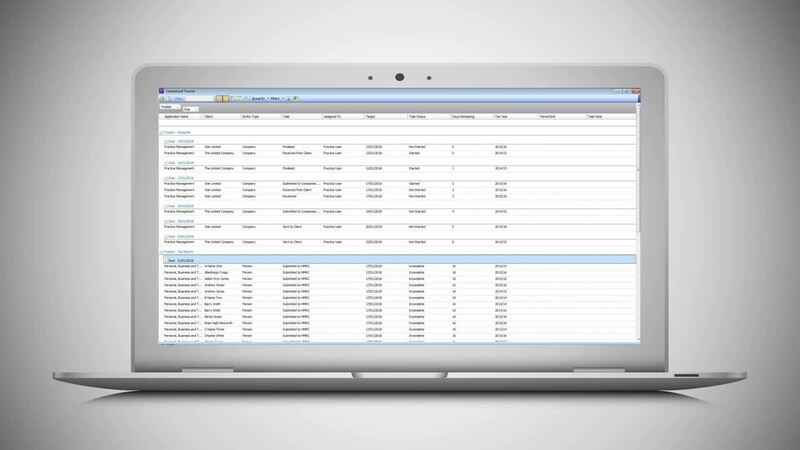 Reduce manual data entry across our suite with our central CRM system. Produce professional branded invoices to bill your clients.